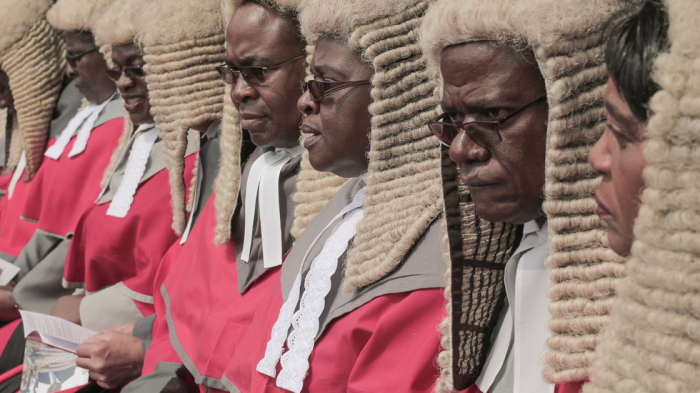 Zimbabwe’s judiciary splurging $155,000 on powdered wigs from the UK while many of its courtrooms are in disrepair and nearly two thirds of the population live below the poverty line has sparked outrage. Despite casting out its British colonizers decades ago Zimbabwe has held on to the curious tradition of donning its judges in white wigs. Now legal authorities are under fire for ordering 64 handmade horse hair wigs from Stanley Ley Legal Outfitters in London at a cost of around $2,600 a pop, the Zimbabwe Independent reports. The curious move comes as the African country grapples with fuel and medicine shortages and as the inflation rate hits its highest level since 2008. “The conditions in Zimbabwe’s courts are dire and yet they can find money for wigs costing thousands of pounds — it’s obnoxious,” Arnold Tsunga of the International Commission of Jurists (ICJ) told the Times. The controversial order has sparked a debate over whether Zimbabwean judges should ditch the wigs, which many consider a hangover from the colonial era. “What surprises me in Zimbabwe is that we say everything against colonialism but we live more colonial than the colonizers themselves,” Harare based lawyer Beatrice Mtetwa said to the Guardian.